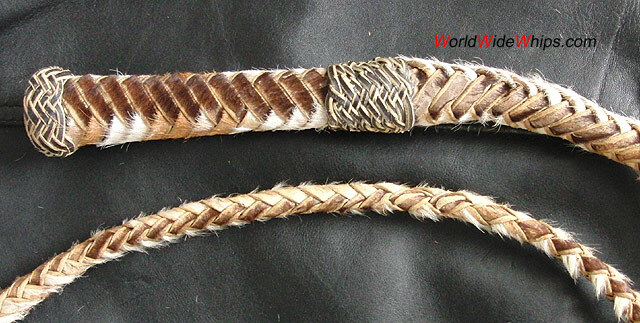 This South American 6 ft / 8 plt bullwhip has been plaited from raw cowhide with the fur still on it. The fall is made from the same stuff. 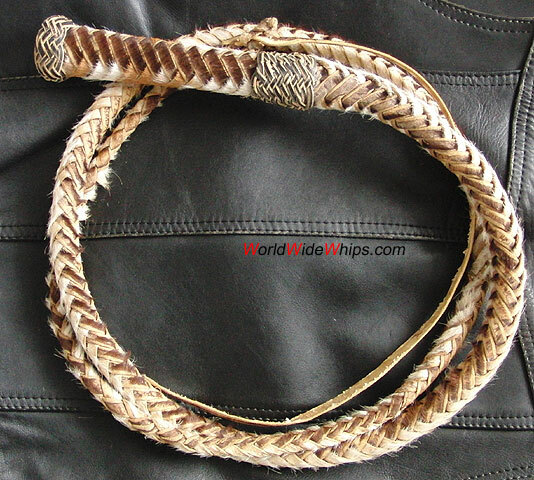 Obviously this whip is a souvenir item.